It was a great experience for all! Everyone learned something and had passages for their notebooks for sure. 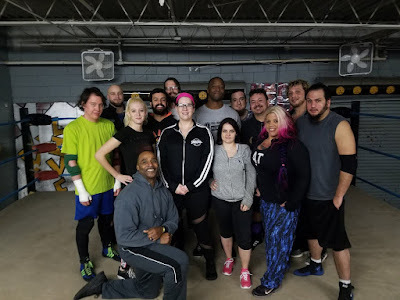 I want to say thank you to Allison Danger for sharing some of her wisdom to the brave souls who stepped out of there comfort zone and soaked up some knowledge! RWC Training Academy will always offer training from our professionals in the business. We have to keep evolving and we do so by having experienced veterans in and around as much as we can! Thank you Allison Danger!